Former Treasury Secretary Larry Summers believes President Trump's recent attacks on Amazon are un-American. "Going on jihads with the power of the federal government against companies whose CEOs' private activity he doesn't find congenial — that's not the stuff of democracy," Summers said in an interview Thursday on CNN's "New Day. "That's the stuff of much more totalitarian countries." Amazon (AMZN)founder and CEO Jeff Bezos privately owns the Washington Post, which Trump often derides as "fake news" for reporting on the administration. Trump has claimed without evidence that the Post is a "lobbying group for Amazon." 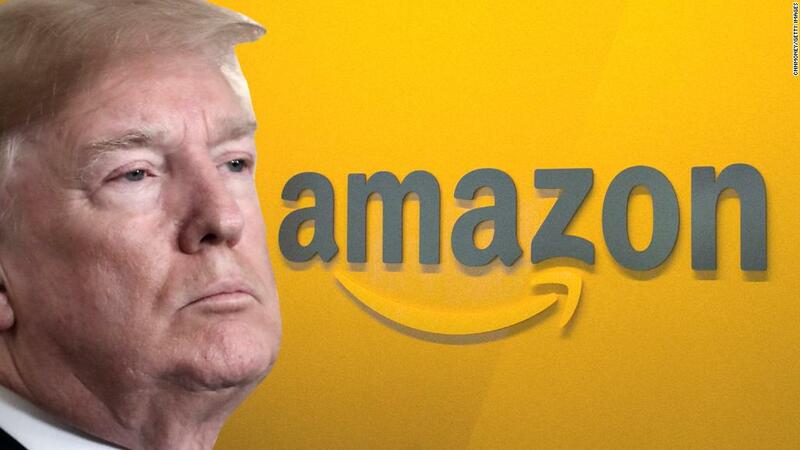 Trump's tweets, as well as reports raising the possibility the Trump administration may look into tighter regulation or antitrust lawsuits against Amazon, have driven down the company's stock. "Make no mistake, that's a Mussolini tactic, not an American tactic," Summers said of Trump targeting a private company. He called Trump's tweets "potentially quite dangerous for our business confidence." Summers, a Democrat, led the Treasury Department under President Clinton and served as President Obama's top economic adviser from 2009-2010. He has been an outspoken critic of Trump and the administration's economic policies in the past. The former Treasury secretary said Trump's attacks on Amazon should make "pro-business Republicans" nervous. "It's the kind of thing that if a liberal, progressive Democrat did, they would be berserk about how dangerous it was for the economy," Summers said.